We're the gateway to Australia - and your first choice. We have a truly global network, with flights to more than 50 international airports around the world. We have more routes, more frequencies, more destinations and more airlines than any other airport in Oceania. We also love the A380, and are the third largest super jumbo hub in the world! Officially opened in 1920, Sydney Airport proudly holds the record as one of the oldest airports in the world. No other global city can match our convenient location, situated just 8km from the Sydney CBD. Sydneysiders physically embrace the airport as part of their daily life and travel convenience. Australia has an enviably buoyant economy. 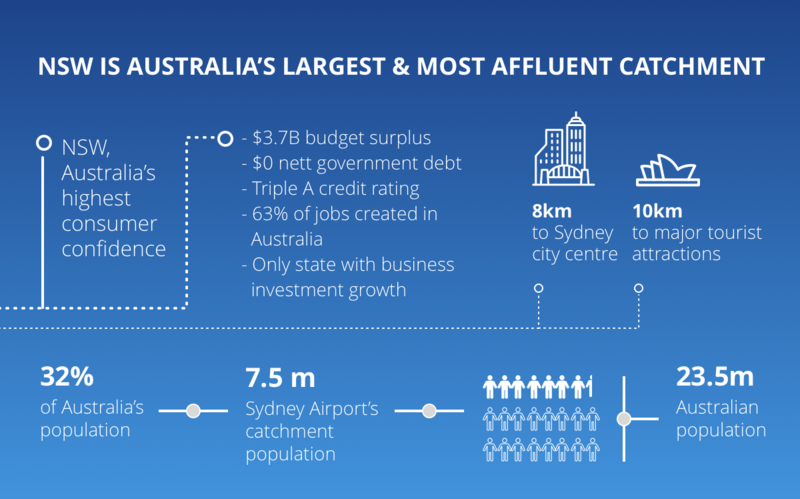 Sydney Airport is crucial to the city’s role as the financial and trading heart of the nation. Sydney is the business centre for banking, insurance, tourism, business conventions, trade fairs, and a major port for international trade and commerce. Sydney is Australia’s hottest tourist destination. 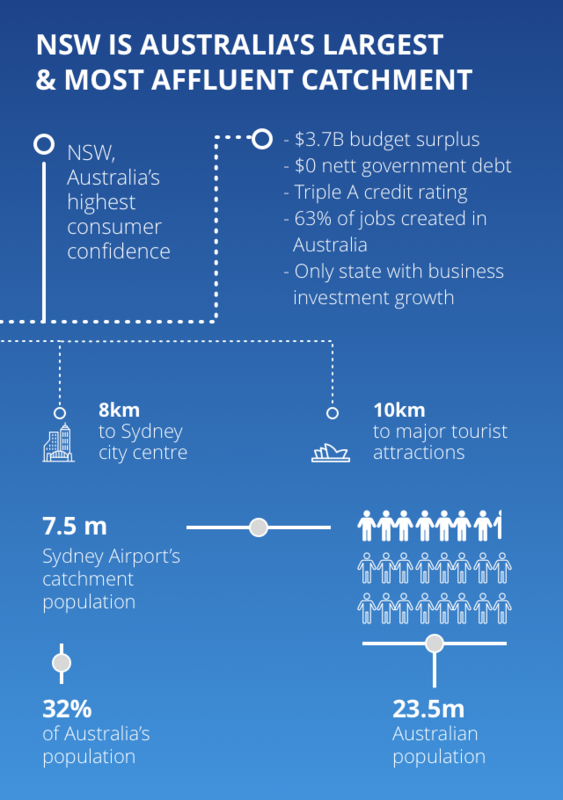 Global perceptions of Australia focus on Sydney, the country’s most recognisable tourist destination. Commanding the world’s most beautiful harbour comprising of the Harbour Bridge and Opera House, Sydney’s waterfront attractions are obvious. Visitors who venture beyond the golden beaches are now discovering the city’s best-kept secrets – its vibrant neighbourhoods, hip hidden bars and the tucked-away coves where locals take a dip.